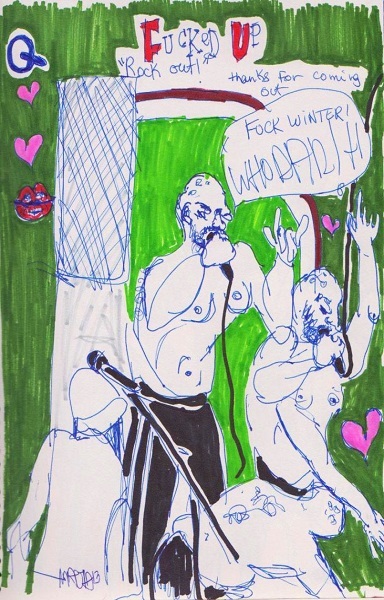 I realized that I never posted my drawings from Fucked Up’s Long Winter Pt. 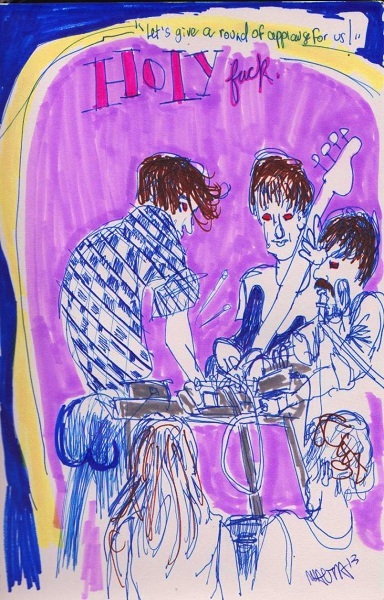 4 event in February. 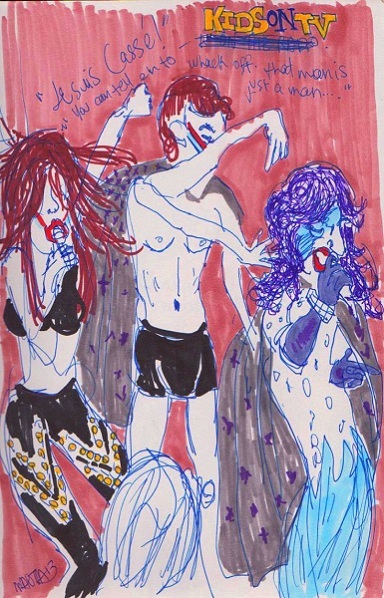 The show was a while ago, but the drawings turned out really well and are worth sharing. 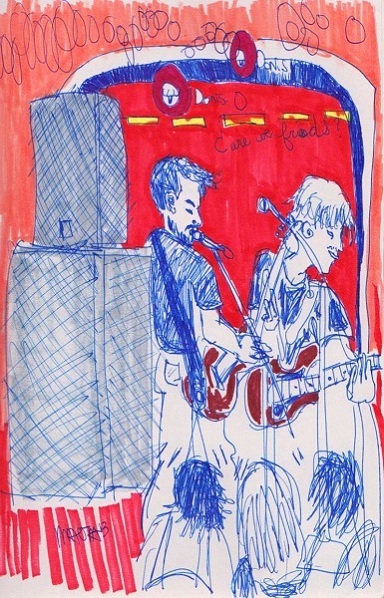 These were drawn live while the bands played, and coloured after the fact.